Platelet-rich plasma (PRP) is an effective way to use your body’s own innate healing mechanisms to heal an area of inflammation or pain. It is a non-surgical, permanent solution to heal arthritis, tendon and ligament tears, and to improve tone, structure, and complexion of the skin and the supporting structures. PRP can increase collagen production, thereby increasing the support and structure in the area injected. A perfect example is that PRP used in a meniscus tear can help heal the tear without surgery. In PRP, blood is removed from your arm like a normal blood draw. The blood is then spun in a specialized centrifuge to separate out the platelets from the red blood cells. The red blood cells are discarded, and the serum containing the platelets is put back in the centrifuge, spun at a high rpm to help separate the platelet-rich plasma from the platelet-poor plasma. 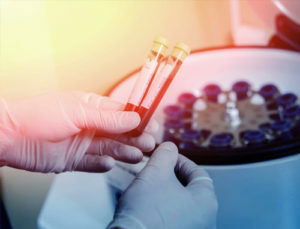 Experienced technique and advanced equipment is necessary to achieve the richest and best sample of PRP. The better the PRP sample the better the health benefits and resulting healing. Dr. Levine then adds the extra step of using a special light treatment that has been scientifically shown to increase the effectiveness of the platelets, in effect, super-charging them to accelerate the healing benefits. The platelets, after having been activated in the light treatment, are then injected into the area of concern. Depending on what the original problem was, and the severity of it, you may need one or more treatments to provide complete healing or relief. Dr. Levine was trained in both PRP and stem cell treatments by a world- renowned pioneer in both stem cell treatment and PRP. Dr. Levine has also consulted with one of the world’s leading stem cell sports-orthopedists, whose patients come from around the world and are a who’s who in the sports world. Stem cell treatment offers great promise to rebuilding and regenerating tissue, and is being used throughout the world to repair damaged organs such as lungs, heart, liver, and brain; unfortunately, it is being highly regulated in Florida due to businessmen and marketers who preyed on many who suffer chronic and life-threatening diseases. At the time of this article, Florida Board of Medicine and the FDA are creating legislation to limit stem cell clinics and treatments due to unscrupulous clinics that began proliferating in Florida with inexperienced stem cell practitioners over-selling the benefits and under-delivering on results. These marketers, in their haste to fleece others, set back the stem cell therapy available in Florida by at least 5-10 years. Dr. Levine believes ongoing research over the next 5-10 years will establish stem cell treatment, in the hands of highly- trained practitioners, as a highly effective therapy that will help reverse organ damage, inflammation, and disease and become a standard of care. Patients should be aware that PRP is a very effective treatment for many medical problems involving changes of aging, pain or inflammation and that numerous scientific articles validate its use. The success of using PRP in experienced and trained hands cannot be legitimately argued. Unfortunately, PRP is a newer scientific treatment in the United States, and as such, most insurance companies refuse to pay for new highly effective medical treatments in their mission to spend as little of the premiums they collected. 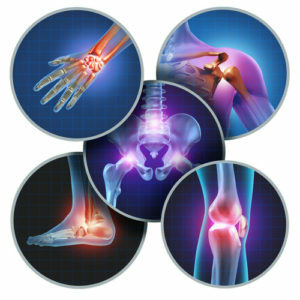 Because PRP is not paid by insurance, the availability of practitioners offering it is limited. Please protect any investment in your health by seeking a doctor that is well trained in PRP and uses state-of-the art equipment to optimize your results and further advancements in the field of PRP treatments. I am a 68 year old woman with a right knee that is scheduled for replacement in several months. I got PRP injections in April and again in July to lessen the discomfort in the knee. It is much more comfortable. I rarely, if ever, wear my brace (prior to PRP I wore it everyday). I have arthritis in several other joints and I plan to have PRP injections soon to try and prevent the bone-on-bone situation that has required replacement of my right knee. I truly believe in this therapy and Dr. Levine is such a professional. I feel completely confident in his care. I have been experiencing hip pain for over 14 years. I stoped playing racquetball and, while it improved slightly, my hip continued to decline. After reading about stem-cell treatments and PRP, I was pleased to discover that Dr. Levine, my primary care physician, was now administering it. I had only one PRP treatment and I feel like a whole new man. My hip pain is, most of the time, gone. When it does return it is minor. I cannot recommend PRP any more highly and Dr. Levine and Jamie are both so easy to talk to and work with. I almost enjoy my doctor’s visits!